My wallet has 4 card slots that you can really jam pack with out about 4-5 cards each, and I don't even come nearly close to maxing out those pockets. 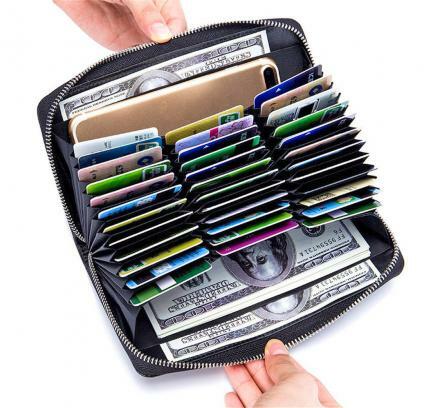 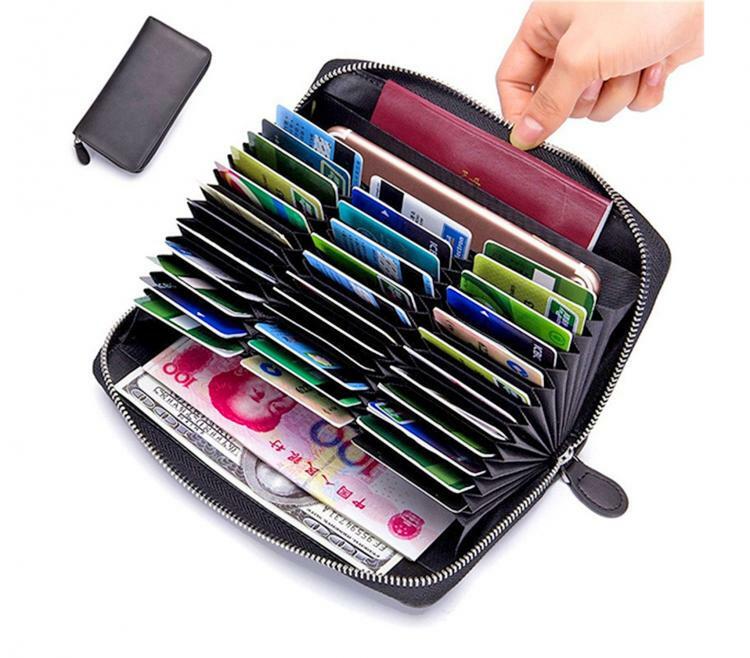 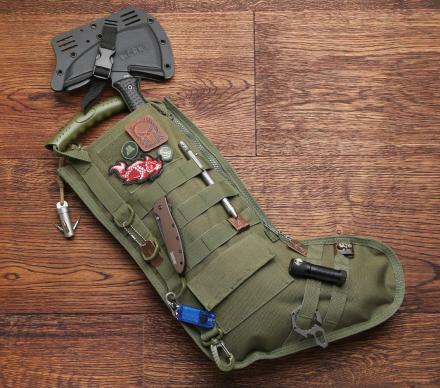 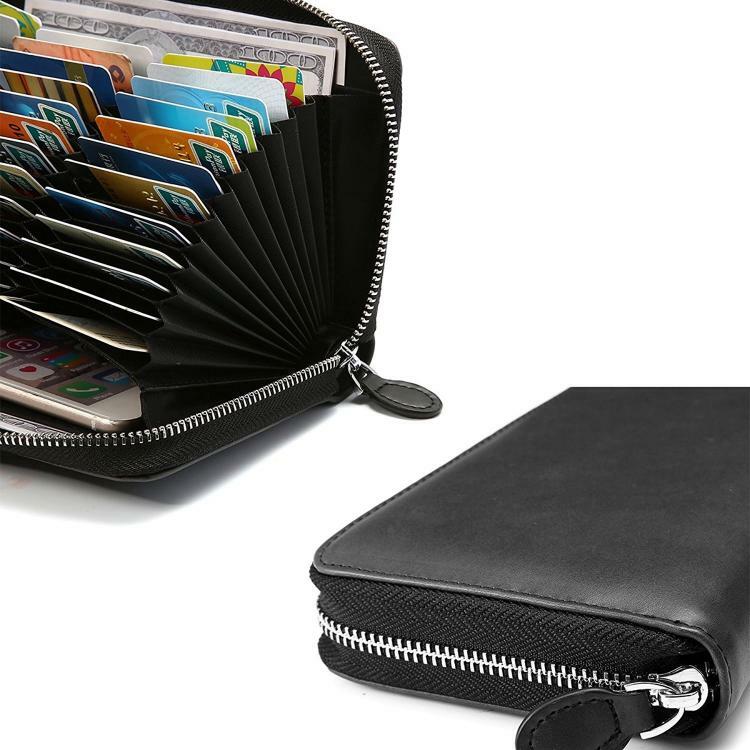 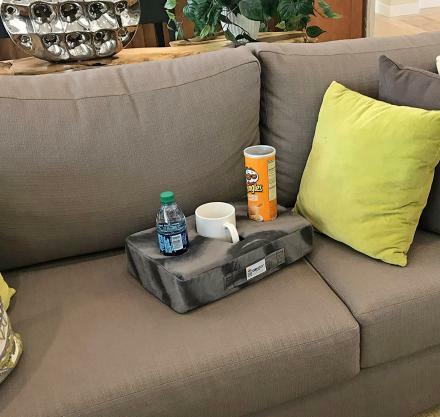 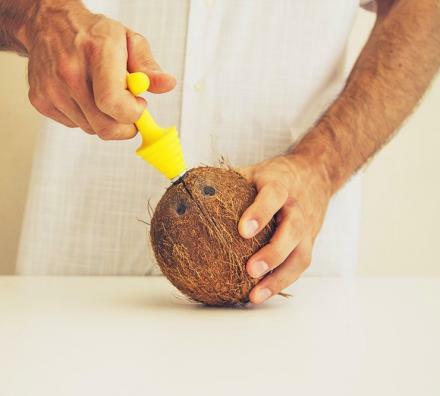 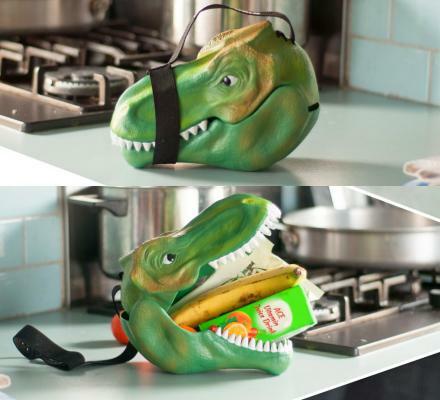 But if you are in the business of paying off your credit card debt with newly opened credit cards, or you have a member card for every store you go to, you may want to invest in one of these giant high-capacity wallets that have 36 card slots. 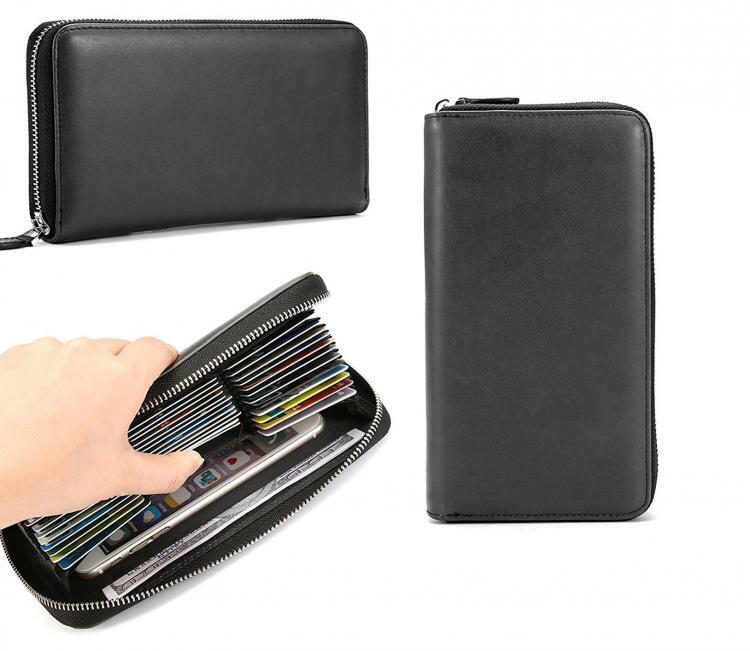 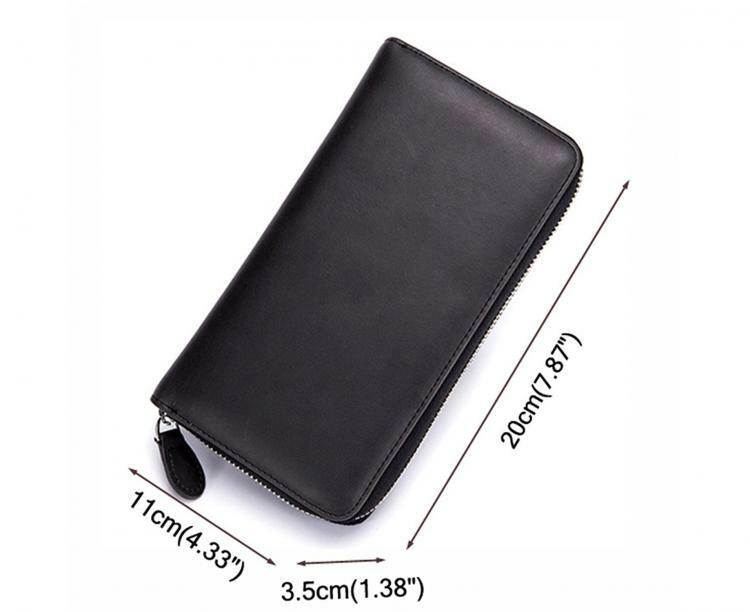 The high-capacity 36 card slot wallet is made from genuine leather, comes in a few different colors to choose from, and measures 7.87' inches long x 1.38 inches wide x 4.33 inches deep.